Intuitive Psychic Readings – ask about the areas of your life you choose. Gain empowering guidance for your way forward. Accurate information that won’t take away your power to choose and define your life. Guidance for difficult situations you know about, or that come up. Relationship guidance – What you need to focus on in your relationship or to find the relationship you desire. Business Guidance – Clarify business decisions and approaches, understand the pathway to greater prosperity. Career Guidance – Guidance about your career direction and possibilities. Spiritual Development – gain guidance for your pathway ahead with understanding and wisdom from recent and future lessons in your life. Personal development – making your life more joyful through approaching your inner self in the way needed right now. Transform yourself; transform your life. Full Distance Readings without your presence on the phone. Quick look MP3 distance readings for the single question. The ability to ask as many questions as we have time for within an hour. Up to 1 hour of my time to help you. After reading clarification by email for full distance readings. Usually receive your MP3 reading recording on the same day as the reading is done. CD recordings also available and sent out by post. Psychic impressions around the question. Generally a 3 card reading, though sometimes more. Around a 20 min reading – up to a maximum of 30 mins. Please note that questions about a third party are considered unethical, eg “Will my ex remarry?”, though questions concerning how you might deal with such a situation are fine. Your focus can be on work, relationships, personal or spiritual development or maybe you have specific questions you would like to address, the session is in your hands we can use the time to cover the topics you wish. Or if you are unsure of what it is you need to know, but just feel you need to gain some clarity on where you are in your life, then a psychic tarot reading may be just what you need. Regular psychic tarot readings can clarify your situation and help you through difficult times in your life, guiding you on your path of self-development, giving you focus and encouragement as you grow, ultimately bringing more joy into your life. Many people ask whether distance or postal tarot readings are as powerful as face to face readings. When I connect with the cards, your higher self and my guides. Actually it doesn’t matter whether you are right next to me or whether you are many miles away, for distance is not a problem for spiritual energy. In a simple way you can see this if you have ever experienced knowing who is on the phone before you pick it up – you sense their energy even if they are very far away. I offer a ‘after reading’ service for full distance readings. To emulate the process that happens on the phone or in person sometimes where confusion about what I am saying can be clarified at the time. So with full distance readings you can email me, within a week of receiving your CD or MP3 download and ask about any point you wish to be clarified. I will reply by email. This service is not available for Quick Look readings. Book your reading here. By having your reading recorded to CD or MP3 Download you will be able to listen and re-listen to your reading gaining extra guidance as the future unfolds. I am delighted also to be able to see people from my home in Pont y Pant, Dolwyddelan. The atmosphere of the area I feel adds to the ambiance in your experience of the reading for face to face readings. Each reading 40 minutes to an hour long! I may use one or many spreads within this time to answer all your questions. 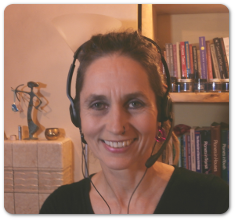 All readings are recorded onto CD or as a MP3 download (except Quick Look readings which are only available as MP3) as you prefer. All sessions are fully confidential. And also opportunity to sign up for the Monthly Free Quick-look Reading prize draw. Why Have a Tarot Reading?